Writer-Director Gerard Barrett’s sophomore feature Glassland is a brisk and dreary kitchen sink drama set in an impoverished Irish suburb. It chiefly concerns nighttime cabbie John (Jack Reynor) and his tumultuous family life with his destructive alcoholic mother Jean (Toni Collette) and estranged younger brother. John spends most of the time in his cab. His home life consists of either finding his missing mother, soaking up her verbal and physical abuse or trying to stop her choking on her vomit in various states of unconsciousness. John would be pretty isolated if not for the company of his best friend Shane (Will Poulter), who is going through a family crisis of his own. Glassland confronts a harrowing problem head-on with Jean’s addiction and John’s battle to pull her from the abyss she’s hurtling towards. To makes ends meet and provide costly treatment for his mother, John becomes involved with some very shady characters in the world of people trafficking. Director Barrett States in an interview (included here on the extras) that ‘if you commit a crime, your whole world becomes shaky’. This is the the question Glassland ponders as morale decisions must be made by John that threaten to darken his world and compromise his soul. It’s not all as bleak as it sounds though. There is a glimmer of light at the end of the tunnel, as John is depicted throughout as a good person despite being constantly tested by circumstance and need. Glassland is for me, fairly hopeful despite the squalor and and strife presented. A message of unconditional love is a through-line as well as the importance of family. It’s an engaging but far from flawless drama. The performances are uniformly excellent, and the dialogue rings true throughout. 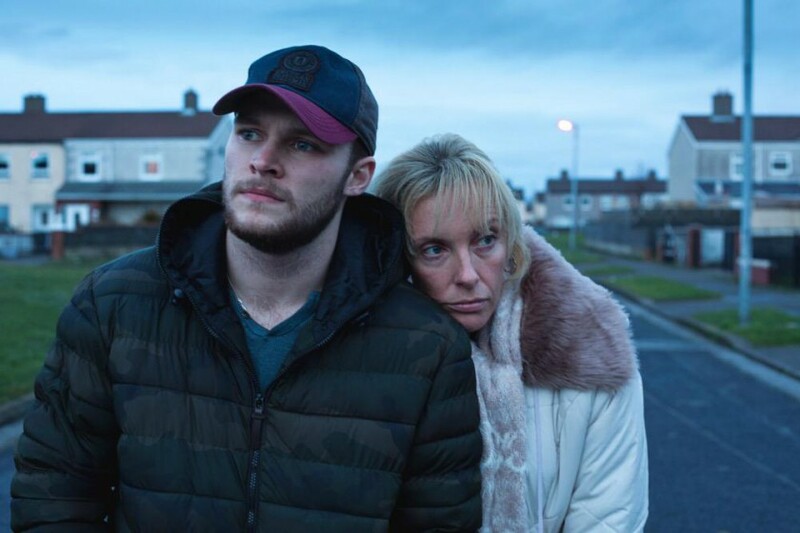 Jack Reynor does a fantastic job as John conveying the heartbreak of knowing his childhood has been stolen yet yearns for the best for his mother. Despite being sold as something of a crime story, the criminal solution to Johns money problems is quite confusing presented and compressed into the last ten minutes of the film with barely any set up? Michael Smiley plays a support worker trying to get John’s mum into rehab. 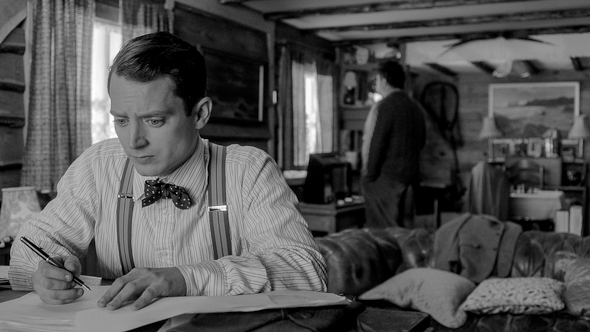 While always watchable, he only really exists to provide a need and obstacle for John to overcome. The meat of the story is pretty much solely anchored in the harrowing interactions between son and mother. Toni Collette is very convincing and fully commits in every scene to often heartbreaking effect. Some of her scenes are a difficult watch and you’ll find yourself cringing if you’ve ever had to live with or be friends with an addict. There’s plenty of truth in Glassland in both its big and small moments, from Jean’s total breakdown to John and Shane’s chill time on a games console. Taken solely as a character study it completely succeeds as a realistic, but hopeful portrait of a broken but redeemable family. It’s unfortunate that the crime drama elements are even there as they convolute and confuse what is mostly a great and gripping film. The disc is fairly limited on extras but there are five short interviews with the main cast and the writer/director.